“Economists are still expecting 4-5 hikes in 2016 and the street (futures market) is pricing in 2-3 over the next year. We believe volatility and global credit risk will force the Federal Reserve to be on hold for a rate hike in March and for that matter the rest of the year. Credit risk will veto the Fed’s desired policy path, take the steering wheel out of their hands. When the market realizes this, the dollar will fall and commodities will surge”. 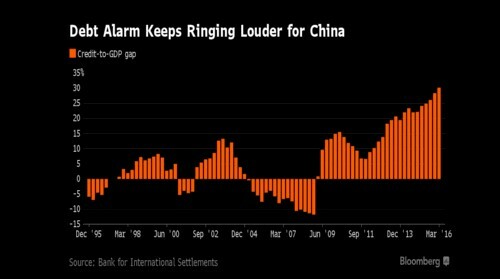 This weekend, the Bank of International Settlements announced a warning indicator for banking stress rose to a record in China in the first quarter, underscoring risks to the nation and the world from a rapid build-up of Chinese corporate debt. In Q1, credit stress in China surged to a fresh record. As we covered in our Bear Traps reports last year, a nearly 20% spike in the U.S. dollar has the credit impact of a global wrecking ball. We made the argument the dollar’s accent has had the impact of 3-4 Federal Reserve rate hikes. Today, it’s rewarding to find much of Wall St’s analysts are finally waking up to this reality. China is using debt to generate economic activity at its highest rate EVER. Unfortunately, they’re getting substantially less return on leverage today then ever before. Eight years of aggressively accommodative monetary policy from the U.S. federal reserve has consistently shifted capital into places it JUST SHOULDN’T BE. As the Fed tries to EXIT the zero lower bound, the global credit contraction implications are mind blowing powerful. After the Fed made their attempt at one rate hike, the dollar’s surge resulted in a sharp contraction in the total stock of dollar denominated credit to emerging markets. 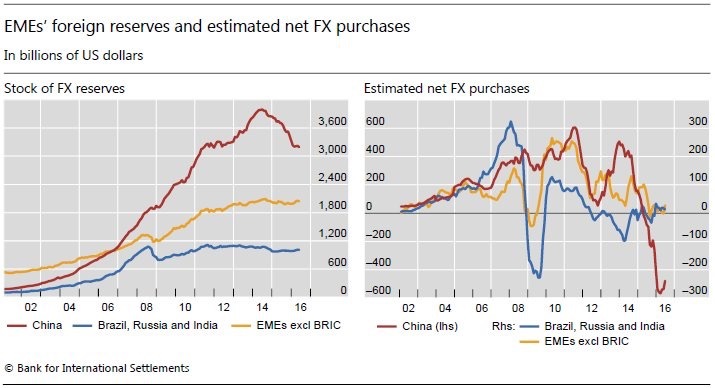 This is a key measure of global liquidity, it was down at $3.2T at the end of March, off $137B year over year, BIS data. Credit risk has surged globally, the Fed has this mess on it’s hands. China’s credit-to-gross domestic product “gap” stood at 30.1 percent, the highest for the nation in data stretching back to 1995, according to the Basel-based Bank for International Settlements. Readings above 10 percent signal elevated risks of banking strains, according to the BIS, which released the latest data on Sunday, Bloomberg reported. The gap is the difference between the credit-to-GDP ratio and its long-term trend. A blow-out in the number can signal that credit growth is excessive and a financial bust may be looming. Yields on the Japan 10 Year bond are back to 0% for the first time since March. Japan’s bonds are in plunge mode, now suffering their worst month since at least 2010. Asset managers are betting the Bank of Japan (meeting September 21st) is plotting the return the steep yield curve. Banks borrow short and lend long, so a flat yield curve has been a thorn in the side of lending institutions. Banks have been suffering in Japan under the weight of negative rates, speculation is building that the BOJ will come to the rescue. The Bank of Japan BOJ is under extreme pressure from their banking system. Negative rates has backfired into a disaster for Japan’s financial institutions. There is surging speculation the BOJ will make a major policy shirt later this month. 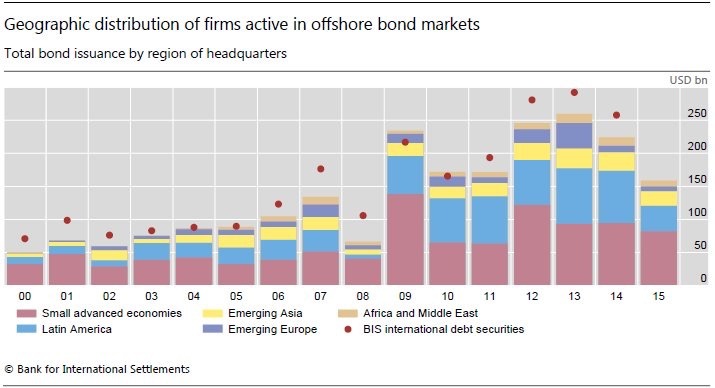 We have an index which tracks bonds with maturities longer than 10 years. The basket has suffered the longest losing streak in three years. Investors are worried Bank of Japan Governor Haruhiko Kuroda will reduce purchases of longer term debt after a comprehensive review of monetary policy on Sept. 20-21. Thirty-year government bonds capped their biggest weekly slump since April 2013 after the BOJ refrained from purchasing the securities at its regular market operation on Sept. 2nd. *OPEC was producing at record levels in August, even as global oil inventories are at multi- year highs. If you’re the lowest cost producer (Saudi Arabia), why subsidize highly levered / high cost producers when you can just put them out of business? Since the highs of August 19th, oil plunged 11% globally. In recent weeks, markets have witnessed rumor after head fake. Around the world, some crude policy makers have been desperate to get prices higher. Today, two of the largest oil producers on earth pledged to “cooperate” to stabilize global markets, while failing to announce any specific measures to bolster prices. No concrete plans were announced at the joint press briefing in Hangzhou, and Al-Falih later told Al Arabiya television there’s no current need to cap production. Creating temporary short squeezes has become a national summer past time in some oil producing nations. Over the years in oil markets one thing has become very reliable. When you see “plans” with few ambitious announcements, there’s typically a lack of decisive follow-up action. Equities remain extremely expensive. A look inside the S&P 500 shows the median stock trading at a record PE of 21.3x, this is through the 1999 dot com highs, nosebleed levels. SEC filings show, Warren Buffett’s cash position has risen from $48B in 2014 to $73B today. The Oracle of Omaha has NEVER had more dry powder, he’s armed and ready for a large sell off. Employment growth was weaker than consensus estimates at +151k in August, but above Fed estimates of the breakeven rate. As U.S. bond yields are moving higher, so are those around the world. U.S. companies kept adding to payrolls in August while measures of slack in the labor market were little changed, signaling steady hiring in the face of lackluster global growth. Notice the yield price action in US 10s. Sixty days ago every sell off was greeted by a stronger bid for bonds. Today, it’s a 180, every rally in bonds has been over-powered with selling, yields want to move higher. Bear Traps Report estimates suggest that G4 central bank (ECB, BOE, BOJ) has contributed for nearly 105bp (1.05%) of the reduction in US 10-year yields since the end of 2013. Bloomberg reported payrolls climbed by 151,000 last month following a 275,000 gain in July that was larger than previously estimated, a Labor Department report showed Friday in Washington. The median forecast in a Bloomberg survey called for 180,000. The jobless rate and labor participation rate held steady, while wage gains moderated. 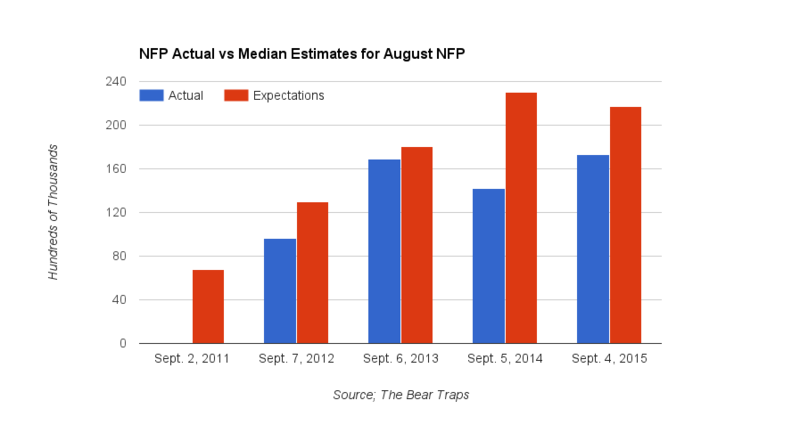 August has been light in recent years, so the market was ready for weakness. The August figure is consistent with a simmering-down of payrolls growth so far this year as the economy slogs through a period of weak investment and some companies have difficulty finding workers. Federal Reserve officials will have to weigh the jobs data as they decide whether to raise the benchmark interest rate for the first time in 2016. Led by a substantial inventory overhang, in recent quarters, U.S. economic growth has suffered, we’ve seen a pull back in business fixed investment. Last Friday, the second release of Q2 GDP reaffirmed the soft signal from the Bureau of Economic Analysis’ preliminary estimate showing modest growth of +1.1% (qoq ar). On the other hand, Wall St’s economists expect above-trend growth in Q3 (+2.8% to +3.2% qoq ar) and Q4 (+2.1% to 2.5%), as a turn in the inventory cycle, continued strength in consumer spending, and a bounce back in residential investment offset any lingering weakness in capital spending and drag from trade. Beyond this year, they expect growth to slow to an only slightly above-potential pace of 2% over the course of 2017. Someone had the light jobs number early as U.S. two year yield came off aggressively, as bond buyers came into the number. •Revisions to both June in and July showed 1000 less jobs created than initially reported, very marginal. •Much of the losses in jobs were seen in mining which continues to weigh, something the Fed has already priced in. •Many service sectors showed continue growth. •In government we saw 25,000 jobs added, seasonally strong. Now 108,000 government jobs over past three months! •Many of the more structural indicators such as discouraged workers, participation rate and long term unemployed were almost unchanged.